Pad, body mounting. Fully molded rubber with locating collar. 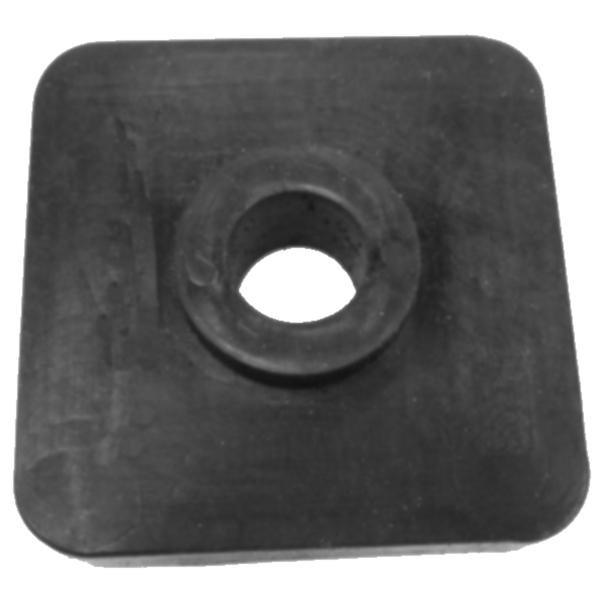 Two inch (2") square by thirteen sixteenths inch (13/16") locating collar outside diameter by one half inch (1/2") locating collar inside diameter. 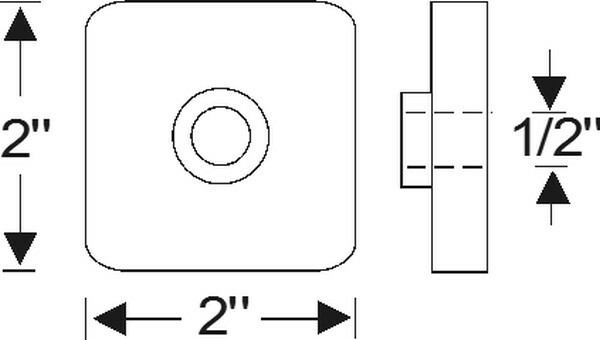 Three eights inch (3/8") square base height by three sixteenths inch (3/16") locating collar height by nine sixteenths inch (9/16") overall height.